One random winner will be chosen to receive a copy of Inside Man by Jeff Abbott. Click on book cover for more information and to enter. One random winner will be chosen to receive a copy of Angels Make Their Hope Here by Breena Clalrke. Click on book cover for more information and to enter. Two random winners will be chosen to receive a copy of Eyes on You by Kate White. Click on book cover for more information and to enter. A humorous satirical take on the big story underlying this summer's headlines. financial aid to the farmers' and ranchers' cause, then realize their country cousins' plan of action is to sue them for the city's disproportionately high usage of fossil fuels. Both participants and by-standers are caught up in a veritable vortex of ethical and practical dilemmas. And because the basis of the farmers-and-ranchers lawsuit parallels a major provision of the worldwide climate change treaty being negotiated under U.N. auspices, it becomes a kind of test case that stirs national and international attention. In the end, re-examination of the climate change issue leads to a surprising conclusion: Mother Nature sure enough works in strange and wondrous ways. The book is on Science and Philosophy…its actually my ( or rather a quark`s) autobiography from the `Big Bang` (about 13.7 billion years ago) onwards. The past is clear … lots of books on Physics and cosmology ….no big deal. Predicting the future is complex and difficult. I am not worried about deep future ( trillions of years deep), of the `Infinite mind` (explained in the book) but the immediate future…the next five centuries or so…. of the human race component of the `infinite mind` is worrying. The probability of the human civilization self destructing itself within the next few centuries is substantially high (calculations in support of this are in the book). How to prevent the collapse of human civilization is what the book is all about. It is aimed at arriving at a `Standard model of philosophy`, which is likely to be accepted by all religions, a kind of `World view` on what is reality, the universe, life and consciousness, etc. Such a `world view`, can bring about fusion of science and religion, and thereby unite all religions, which is a prime requirement to end conflicts and wars. 3) The reading of the Chapter on the Seminar, and imagining as though you are watching a movie with your favorite stars portraying the various characters(Scientists and Philosophers). 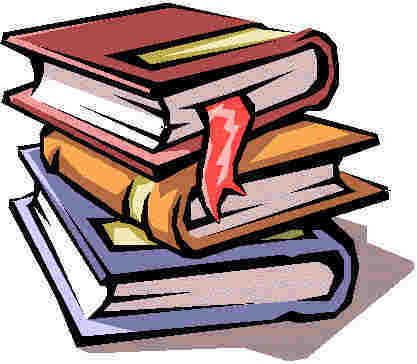 4)`The guessing of the Six Words and the desire to read the book once more`. 5) The Complete story of Quantum Physics and its sequential development over the years, has been placed on a platter for the benefit of the readers. The non Scientists will love it. In thirty odd pages, they will learn enough Quantum Physics to be able to understand and appreciate the philosophical impacts of the subject. This is an enormous ``HOOK``. Visit our new site Find-Ebooks.net to find Amazon Kindle books. This site specializes in Kindle books only. Also, be sure to click on the Facebook "like" button on the home page.